Join Kaitlin Iversen as she partners with Martina Jealous & Spa Remedease on a 3-day retreat that is built to jumpstart or transform your health at the breathtaking grounds of Trout Lake Abbey. Jumpstart or transform your health! This is a 3-day retreat that includes organic delicious meals by Salt Rose Kitchen, from Hood River, Oregon. ​Daily activities, take away goodie bags, health resources, yoga & hands on farm love are all included. We are so thrilled to be offering this event at such an incredible location! Hope you can join us for an experience that will feed your soul & transform your health! Tucked in the base of Mount Adams is a magical place that is calling your name. Trout Lake Abbey is a breath taking property that operates as a B&B, organic farm, Zen Buddhist Temple, Druid Sanctuary, private event space and has many more offerings to the community! Just an hour and forty-five minutes from Portland, 30 minutes from White Salmon and 40 minutes from Hood River. Lodging on the property is available for private cabins, 5 private sleeping rooms as well as a hostel. It's Time! Allow Yourself To Connect, Cleanse & Thrive! 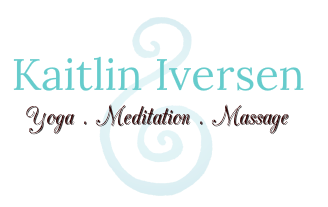 Kaitlin Iversen is thrilled to be offering this event at such a magical location. Hope you can join us!